April 18, 2011 - In a statement submitted to a Congressional subcommittee, the Air Line Pilots Association, Int’l (ALPA), underscored the serious threat that mishandled or improperly packaged lithium battery shipments can pose to aviation safety and made clear that the solution rests in fully regulating them as hazardous materials. 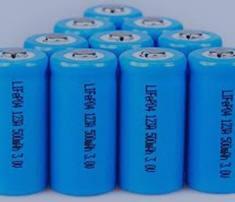 “While paint and dry ice shipments aboard aircraft are currently regulated as dangerous goods, shipments of lithium batteries are not, despite the aircraft incidents and fires linked to the unsafe shipment of these batteries, and their ability to self-ignite when improperly packaged or mishandled,” said Capt. Lee Moak, ALPA’s president. Lithium-ion batteries are generally rechargeable and are used to power everyday items such as cell phones and laptops. Lithium-metal batteries are usually not rechargeable and serve as a power source for watches, flashlights, and digital cameras. In its statement to the U.S. House Subcommittee on Railroads, Pipelines, and Hazardous Materials, ALPA warned that both types of lithium batteries can spontaneously catch fire, emitting sparks, flames, and large amounts of smoke. If packaged or handled inappropriately, the batteries can self-ignite and, once ignited, the fire can quickly spread from battery to battery and be extremely difficult to extinguish. Since 2004, ALPA has advocated that, to ensure aviation safety, lithium battery shipments must be fully regulated. This would include meeting enhanced marking, labeling, and packaging requirements; conducting employee training; and notifying the pilot-in-command that these shipments are aboard the aircraft. ALPA is not calling for new restrictions on what passengers are permitted to bring aboard airliners. - Mandating notification of the pilot-in-command that lithium batteries are being transported. Knowing that hazardous materials are aboard the aircraft can affect pilots’ decisions, including which airport to choose in an emergency diversion and what information to provide so that first responders are prepared with equipment necessary to fight a fire on board. - Limiting the total quantity of lithium batteries permitted to be shipped aboard a single aircraft. While the number of batteries per shipping package is limited, there is no limit to the number of packages that may be shipped aboard a single aircraft. - Restricting lithium battery shipments to specific cargo compartments. Lithium ion batteries are proven to respond favorably to the Halon system in a Class C cargo compartment. The batteries need to be fully regulated to ensure they are loaded only in cargo compartments that are equipped with the most effective fire suppression systems. - Banning shipment of lithium-metal batteries on all aircraft. While the Pipeline and Hazardous Materials Safety Administration (PHMSA) banned shipments of lithium-metal batteries on passenger aircraft in 2004, such batteries are still allowed on cargo aircraft. - Requiring dangerous-goods labels. A dangerous-goods label requirement would increase awareness on the part of the ground personnel who load and unload aircraft and potentially reduce the likelihood that damaged shipments would be loaded on aircraft. - Mandating training for lithium battery shippers and handlers. Safety would be enhanced by raising awareness among shippers and providing training on the safe handling of lithium batteries. With regulatory training requirements, lithium battery shippers, handlers, and facilities would be subject to oversight and inspection to ensure that training and packaging provisions are met. “We have a tremendous opportunity to safeguard air transportation from the known danger posed by lithium battery shipments and to set the standard for the world,” concluded Capt. Moak. “Lithium batteries belong in the same regulatory framework that has proven to ensure the safe transportation of dangerous goods, while still maintaining profitability, in many other industries. We urge the Department of Transportation to publish a final rule that fully regulates lithium batteries without further delay.” Founded in 1931, ALPA is the world’s largest pilot union, representing nearly 53,000 pilots at 38 airlines in the United States and Canada.